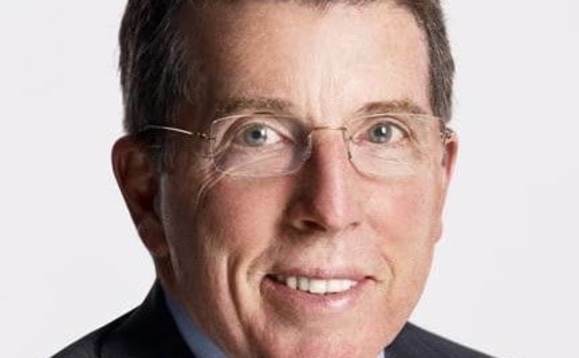 Former Barclays chief executive Bob Diamond’s listed UK investment company, Atlas Mara Ltd, has confirmed that it has had “discussions with a consortium of investors” that is exploring an acquisition of Barclays’ stake in Barclays Africa Group, “and a potential combination of Atlas Mara with Barclays Africa”. Members of the investors’ consortium include US-based Atlas Merchant Capital, founded by Bob Diamond, and the Mara Group, the statement, released on Tuesday, said. Published reports have noted that the US private equity group Carlyle is also involved. Atlas Mara is a joint venture between Atlas Merchant Capital and Mara Group, which was founded by Dubai-based entrepreneur Ashish J Thakkar. It listed on the London Stock Exchange’s main market in December, 2013. “Our vision [is] to be sub-Saharan Africa’s premier financial institution,” reads a statement on the Atlas Mara website, above a photograph of Diamond (pictured), and Thakkar, who are both described as founders and non-executive directors. Tuesday’s statement by Atlas Mara comes almost two months after Barclays formally announced that it was seeking to sell its 62% stake in the African entity, Barclays Africa Group Ltd (BAGL), which is listed in Johannesburg, as part of its global efforts to simplify its business model, at a time when mounting regulatory pressures are making far-flung global operations increasingly unsustainable. As reported here in February, the Financial Times broke the news of the expected sell-off by Barclays, quoting “people familiar with the matter”. At that point Barclays declined to confirm it was looking to sell its stake, saying it was continuing to “evaluate its strategic options”. Along with South Africa, BAGL has subsidiary operations in Kenya, Botswana, Ghana, Zambia, Mauritius, Mozambique, Seychelles, Uganda and Tanzania.